Did you pick up any bargains over Black Friday/Cyber Weekend? For us in the UK this is a fairly new phenomenon, but anything that saves a bit of cash is absolutely fine by me! 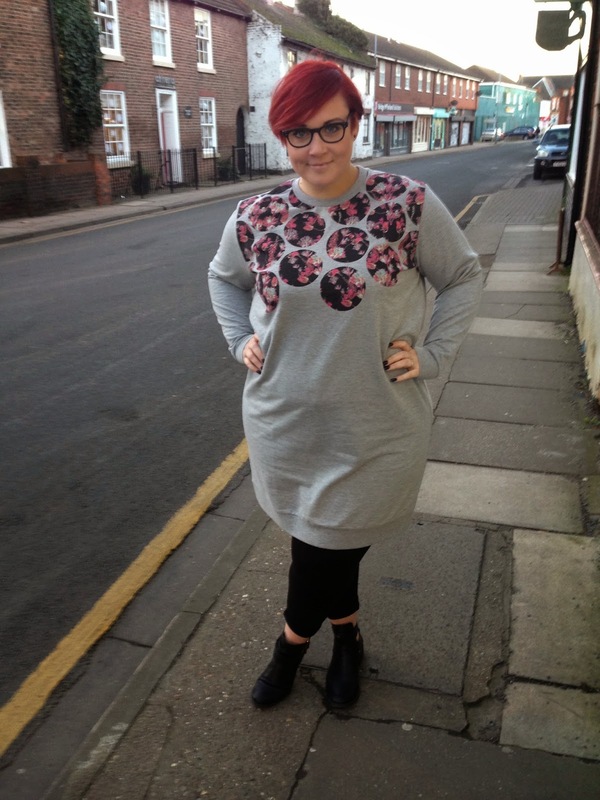 I got a couple of dresses from ASOS Curve including this cute sweatshirt dress. I've had my eye on it for a while so decided to snap it up whilst I had some cash. 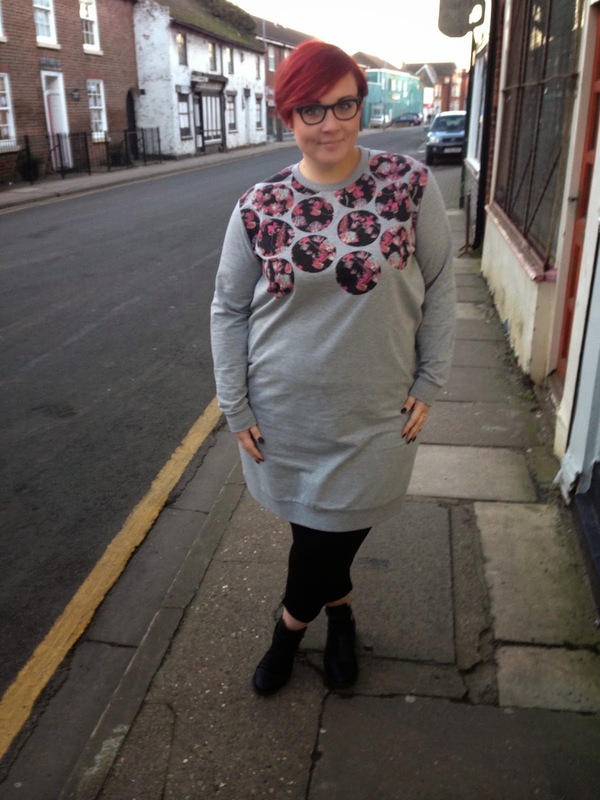 I love the spotlight print, with the floral, it's such a lovely contrast against the casual grey marl. This is second time I've worn this since I got it, I also wore it with tights to uni the other day. I'm wearing the 22, it's true to size and really comfortable. It falls just above my knee and I'm 5'7", I'm definitely a bit smitten! P.S. My hair is driving me insane! I'm trying to grow it out to a choppy bob, have you got any in between tips? Thanks! Love that dress! I've had my eye on it for ages, and it's better now with the reduced price, but I think at 5ft 2" it'd be a maxi dress on me!!!!!! 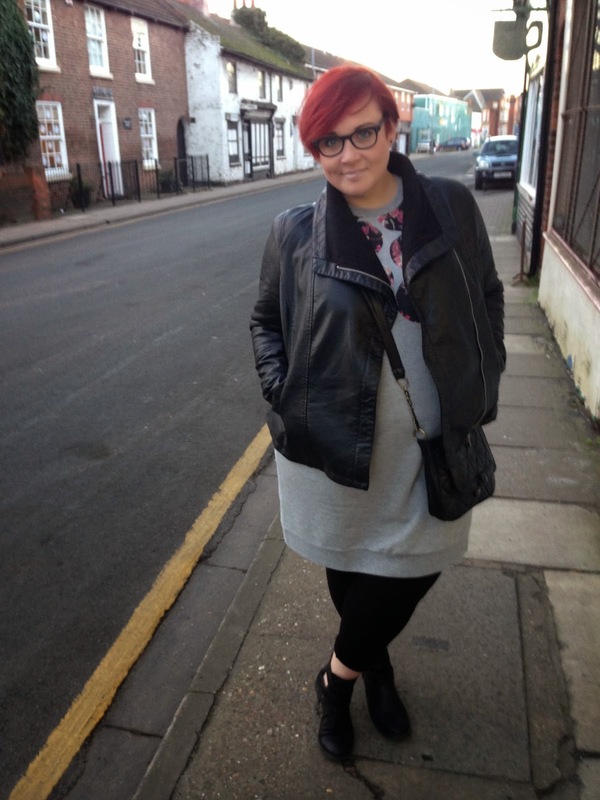 This dress is super cute on you and it looked perfectly badass paired with that jacket!